How much does it cost to become an LGV/PCV driver? With NDC the price you see is the price you pay! Just look at our prices page and it’s that simple. See our full list of prices here. What do I have to do to get my provisional licence? Apply to the DVSA for your provisional licence by phoning NDC and we will send you all the information and forms that you will need. 0208 688 4666. Book a commercial driver’s medical at your doctors. This will cost you about £100. You could ring round to any doctors but they all seem to be the same. Sometimes there are doctors willing to do it for less and they can be found online. Search LGV/PCV medicals. Fill out the forms and tick both categories C and D (lorry and bus) even if you only want the one category do the other one because in the future if you change your mind, it will save you money as you now have all the provisional categories. Send all the forms off with your licence to the DVLA. Remember you will need a ‘large class stamp’. Your licence will be returned within roughly ten days. What do I do when my licence comes back? Call NDC for a driving assessment in the vehicle of your choice. This is FREE as we believe that you should meet us and we can meet you so we can assess your current driving ability and to ensure that you choose the correct course. There is no obligation to continue if you don’t want to. It’s FREE. Anywhere between four and seven days. You will be told during your assessment. Usually five days for a C (lorry) or C+E (artic) and seven days for D (bus) and four days for C1 (7.5-ton lorry) or D1 (minibus). Are there any hidden extras that I should know about? Not with NDC. However, be careful with other companies and especially with LGV/PCV agencies or brokers. Assessments – are they FREE? You should always have a driving assessment to make sure of your ability and that you are doing the right course for you. They are FREE at NDC. Theory tests – are they extra? CPC module 2 – is that extra? Does another company or agency want to give you a half or full day course to teach you module 4 and charge you a small fortune for it? Should you need a retest – how much are they? What a complete waste of time and money! At NDC we teach you the syllabus while you are with us saving you time and money with your test conveniently during your course. All these additional costs are included in your All Inclusive course at NDC. How do I know if I’m dealing with a bona fide training company or an Agency? Quite simply – ask them and see what they have to say for themselves. Are you an agency or a broker? before handing over your credit card as it will be one of the first things they ask for! How long does it take from start to finish with NDC? From sending off your provisional licence forms to taking your practical test – about six weeks with NDC. Where is the National Driving Centre? NDC is conveniently situated in Croydon, south London and is on all major bus, train and tram routes. National Driving Centre, Territorial Army Barracks, Mitcham Road, Croydon CR0 3RU. Can you park at NDC? 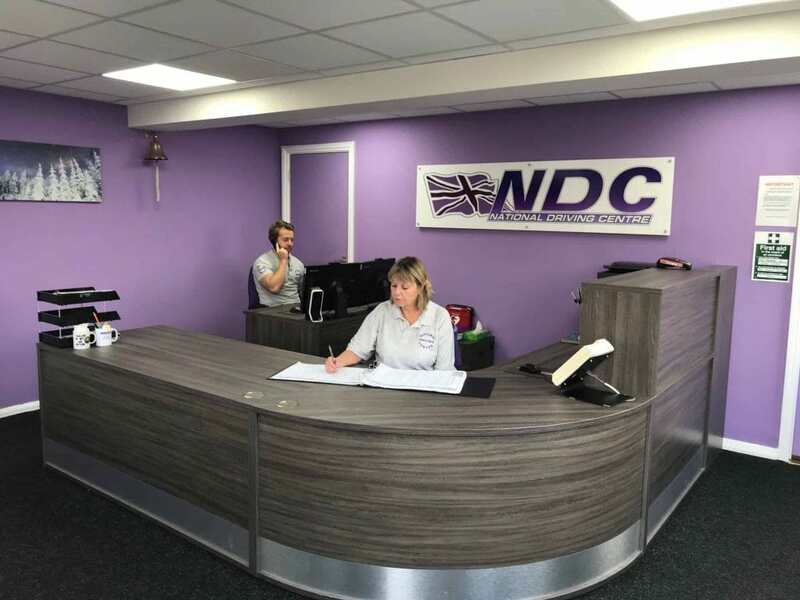 Unlike other training companies that can meet you in the street or other unsuitable locations, NDC has their own purpose-built training centre with ample free secure parking on site. What are the facilities at NDC? NDC have their own purpose built training and test centre in Croydon, south London. With reception, classrooms, reversing area and all other training requirements are on site. We even include FREE tea and coffee in the students’ classroom! NDC is a government approved test centre – what are the advantages? Quite simply – convenience for NDC and familiarity for you. 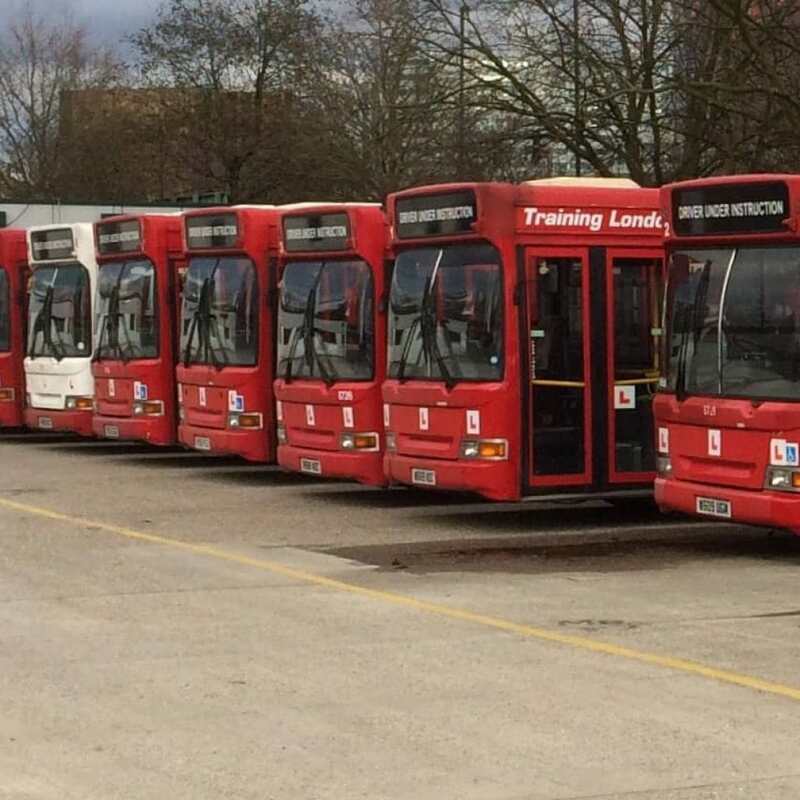 There are very few HGV LGV PCV test centres in and around London, the nearest being Enfield or Guildford. Being a government approved test centre allows us to train and test from our own premises in Croydon. It allows us to organise our own tests when we want them for our own students. We have greater access and control of the tests, so if you should, unfortunately, need a retest, for example, you don’t have to wait for weeks as you might with others trainers. We have our own bank of tests. More importantly, your training time is not spent travelling to and from a test centre which may be miles away. It all may seem very confusing just to drive a big vehicle. With all the tests and the meaning of lots of different things it can seem quite complicated but in fact, it’s really simple once it’s broken it down into small pieces. As we are not an Agency, you will not be paying an inflated price to cover their commission!